of the canopy with shading from the sun to maintain high acidity and delicate aromas. to naturally preserve the freshness of the juice. The grapes were hand sorted before destemming and crushing. This wine is a burst of tropical fruit on the nose, with hints of pear and citrus. a hint of sweetness and pomelo-like juiciness. 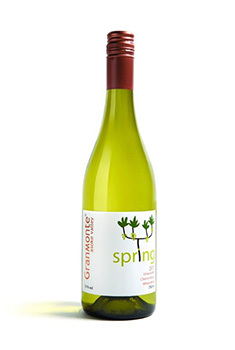 The wine is crisp on the palate with a zesty acidity and refreshing finish. from spicy Thai salads to fresh seafood. and a few years of cellaring and will reveal more surprises. Drink now- 2023. Chilled to 8°C before serving.